• 1:45-3:30 p.m.: “Occupy the Voting Booth,” a panel discussion on how to increase voter registration among young people and under-represented groups. Speakers include Jennifer Waggoner, President of California’s League of Women Voters on effective outreach through electronic media; Gloria Taylor, President of California‘s American Association of University Women, on the organization’s training and outreach program for women 18 to 25; and Cynthia Cornejo, Alameda County Deputy Registrar of Voters on voting patterns in Alameda County. 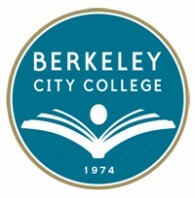 Members of BCC’s Civic Engagement Club will speak on how they plan to persuade students to register and vote using the “hook” of an election parcel tax proposal that would increase funding for community colleges.• 3:45-5:15 p.m.: Berkeley Assembly Member Nancy Skinner and Berkeley City Council Member Linda Maio will speak as part of the panel, “Elected Women: Getting Elected/Doing the Job: Advice to Future Candidates.” Other past and present members of Berkeley’s school board and city council, including current Berkeley Unified School District director Karen Hemphill, and past City Council Member Andrea Washburn also will participate. • 5:15-6 p.m.: A reception to honor Berkeley Elected Women past and present with light refreshments.